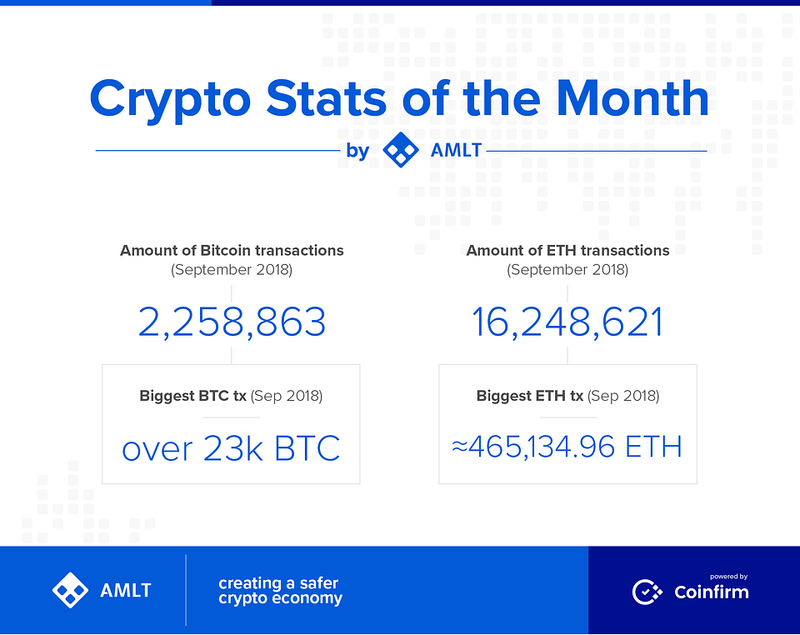 Crypto Stats of the Month brings you unique monthly stats from across the cryptocurrency space, this time we hit you with data for Bitcoin and Ether transactions for the month of September 2018. As you can see in the image below we have also highlighted the biggest tx in September for both Bitcoin and Ethereum. We hope you will enjoy this series along with our others such as Crypto Alert of the Week and if you have any feedback we would love to hear it.